The attorney general is expressing cautious optimism about improved co-operation with the federal government on B.C. 's money laundering problem after a meeting Tuesday morning. Border Security and Organized Crime Reduction Minister Bill Blair told reporters he was "absolutely committed" to working with his provincial counterparts after sitting down with B.C. Attorney General David Eby in Vancouver. "We have a shared responsibility to work together to make a difference," Blair said. During a joint news conference, Eby said he "very much appreciated" the commitment from the feds. But after Blair left the room, Eby pointed out that he has raised the issue with multiple federal ministers in the past and heard similar concerns about the extent of money laundering in B.C. "We'll find out if there is a gap between the words of concern and people's actions," Eby said. He added, however, that he is feeling increasingly hopeful about the situation. Blair's pledge of co-operation came just days after it was revealed that an RCMP intelligence report on money laundering in B.C. had not been fully shared with the province. But Eby said that within the last 24 hours, the RCMP have reached out to Peter German, head of B.C. 's independent review on money laundering, to open up lines of communication. "There simply wasn't information sharing happening between the RCMP and Dr. German," Eby said. "I don't know why it wasn't happening. I know that it wasn't acceptable." 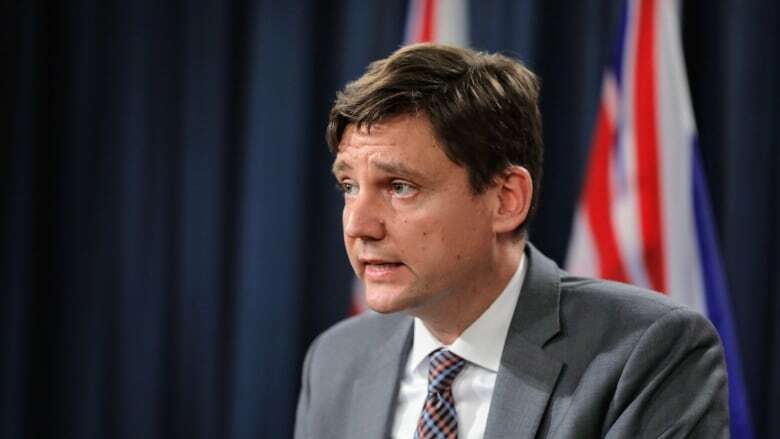 The meeting comes after Eby dramatically increased his estimates for how much dirty money has flowed through British Columbia in recent years. He now says as much as $2 billion moved through the province's casinos and luxury real estate market in a single year, basing his figures in part on the RCMP intelligence report. That money is believed to be the proceeds of crime, including illegal drugs, that needed to be cleaned through legitimate industries. The $2-billion estimate marks a sharp increase from that given by German, a former RCMP deputy commissioner, in his independent report last summer. German had suggested more than $100 million may have been laundered in B.C. Garry Clement, a financial crime expert and former RCMP superintendent, said the positive vibes from the meeting are all well and good, but the time for action on the file is long overdue. "Talk is cheap... we aren't dealing with [the] need [for] a rocket scientist," Clement said. He wants to see a return to a more integrated policing approach for dealing with money laundering by transnational crime outfits. That could involve, he suggested, police at all levels, plus prosecutors, the Canada Revenue Agency and FINTRAC, Canada's watchdog against money laundering. Clement believes authorities have lost some expertise over the years when it comes to pursuing these types of crimes. He says efforts will be needed to rebuild that expertise.